AFL: GYMPIE-raised athlete Jessy Keeffe has been drafted into the Brisbane Lions AFLW team for 2017. Not a bad effort for somebody who has only played the game for less than two years. 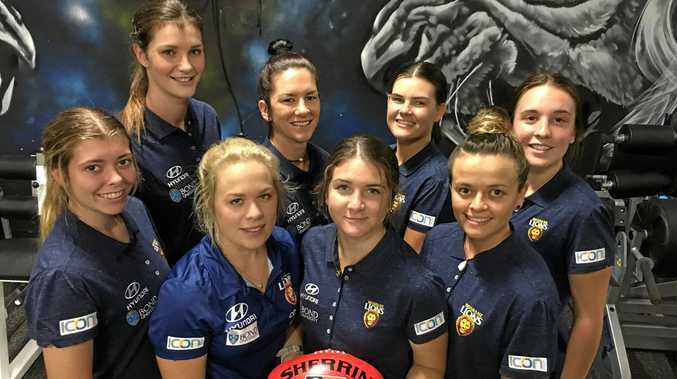 Jessy Keeffe was the Brisbane Lions' eighth pick (48th overall) at the 2017 AFLW draft and the 21-year-old Yeronga Devils QWAFL premiership player joins teammates Emily Bates, Sabrina Frederick-Traub and Kate McCarthy at the Lions. Keeffe said she was thrilled with the pick but was made to wait and work hard for it. "I was only 20 years old when I started. This was my first year in the QAFL competition,” she said. "I feel awesome. Honestly, I'm pretty stoked. Keeffe represented Queensland in the State Under-23 series against Western Australia. Lions AFLW coach Craig Starcevich said he was impressed with Keeffe. 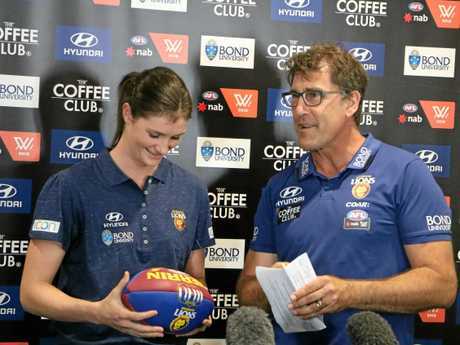 "Her appetite to improve and learn is second to none and she will boost the Lions' ruck stocks,” he said. LOVE TO KEEP UP TO DATE WITH GYMPIE SPORT? FOLLOW THE TOPIC BY CLICKING HERE. Keeffe's journey could be about taking opportunities when they present themselves. "Basically I have always been a sports fanatic,” Keeffe said. Keeffe said she had dabbled in almost every sport until the age of 16. "My main sport was netball. From the age of 6 I had started playing,” she said. "Until I was 15 or 16, I was a netballer and I was striving to make that my thing. Her brother is former Collingwood player Lachlan Keeffe. The emergence of female professional AFL and its unexpected popularity had a ripple effect. "I saw the first inaugural game on TV for women's AFL,” Keeffe explained. 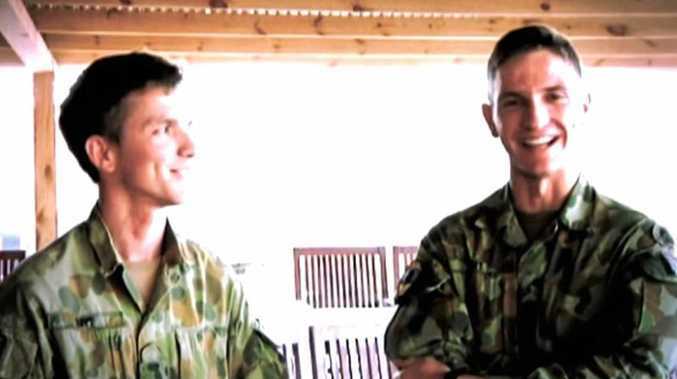 "I literally just googled AFL Brisbane, the first team was Yaronga, and talked to the coach. "I rocked up to training and fell in love with it straightaway. "In all my years of netball I never thought of quitting, but as soon as I played AFL I was hooked. The 186.6cm tall ruck and softly spoken personal trainer then threw in her efforts to make the sport her thing. "From day dot I gave it all I got, the hard yards, the gym and the extra sessions,” Keeffe said. The former St Patrick's student still considers Gympie her hometown. "I grew up in Gympie, I'm one of five kids and we all went to St Pats,” she said. Keeffe completed her final schooling years at the prestigious school, which helped her on her journey. "I loved it there, really missed my friends in Gympie but it was a big opportunity for me and opened my eyes as to what was available sporting-wise for me,” she said. Official training starts on November 20.